It may sound like a lot for one short weekend, but it's easy to visit Beverly Hills, West Hollywood and the Miracle Mile part of Wilshire Boulevard. This part of Los Angeles is especially popular with anyone who enjoys excellent style, design, and architecture. And it offers an eclectic mix of activities, just right for a girlfriends' getaway, a twenty-first birthday bash, a shopping spree or a visit to some of the finest museums you'll find anywhere. You can plan your Beverly Hills and West Hollywood day trip or weekend getaway using the resources below. The weather is best in spring and fall. Otherwise, Rodeo Drive is exceptionally pretty during the Christmas season. West Hollywood is extremely busy during Pride Week in June. If you' want to shop on Rodeo Drive, don't go on Sunday when the shops are closed. 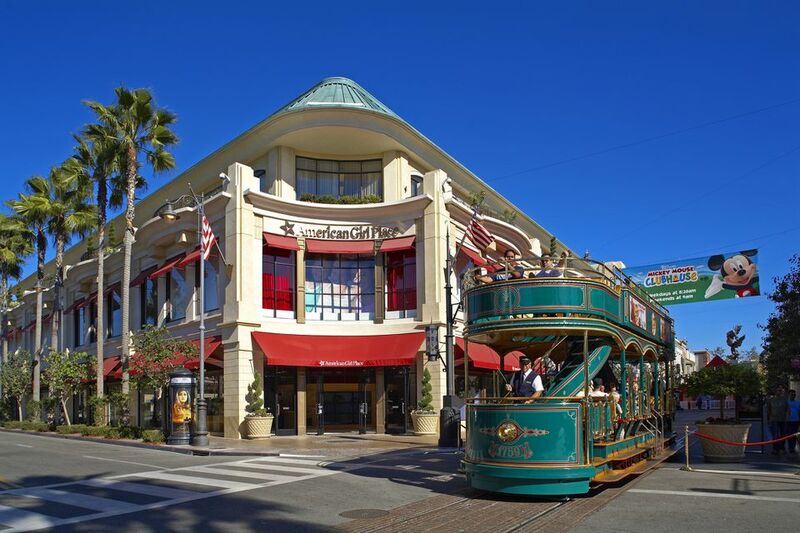 Take a Trolley Tour: If walking on Rodeo Drive makes you want to see more of Beverly Hills, meet the Beverly Hills Trolley at Rodeo Drive and Payton for a 40-minute tour. Check times and fees at their website. This tour is more fun and informative than the cheesy tours that leave from Hollywood Boulevard - and less expensive, too. Go Shopping: Depending on your budget, Rodeo Drive can be either a window-shopping experience or a buyer's binge. Either way, use the Rodeo Drive guide to planning your visit. Beverly Drive, Dayton Way, Brighton Way and Department Store Row just off Rodeo are bringing new designers and brands to the area like KLS and Alice& Olivia. You'll also find designer boutiques and places to eat along the Sunset Plaza section of Sunset Boulevard between Alta Loma Road and Horn Avenue. The West Hollywood Design District along Melrose, Beverly, and Robertson offer the most cutting-edge shopping experience, and shops host frequent free gallery walks, book signings, and artist receptions. Dive Into Sunset Strip's Nightlife: Sunset Strip is lined with nightclubs, along with the Comedy Store and Laugh Factory. If you read about a new "hot spot" and think you want to try it, beware. If it's truly a hot spot, you may not be able to get past the doorman. Even worse, trendy hangouts go out of style with lightning speed. Use our guide to find out more about Sunset Strip and try these tips for getting past the velvet rope to get into some of the most exclusive places. Check Out the Street Art on Melrose: Melrose Avenue is not only lined with funky, hip shopping, but it also has some exciting street art. In the Melrose Avenue Mural District between Fairfax and Highland, you'll find buildings covered with edgy and thought-provoking designs by famous graffiti artists like Alec Monopoly and Shepard Fairey. Enjoy Some Great Architecture and Design: If you're in West Hollywood, it's hard to miss the distinctive Pacific Design Center with its striking green-red-and-blue exterior. Many of the contemporary furniture and design shops there are open Monday through Friday only, but a few open on Saturday. Also in the same complex is the Museum of Contemporary Art (MOCA). The Schindler House, built by architect Rudolph Schindler as his personal residence is a favorite of architecture buffs. They give guided tours on weekends, and the house is also the Los Angeles site of Austria's Museum of Applied Arts (MAK). Explore Museum Row: Along Wilshire Boulevard between Curson and Fairfax, you'll find the Los Angeles County Museum of Art (LACMA) and the Petersen Automotive Museum. Both are worth a visit and the Petersen appeals to a broad range of people, not just car geeks. Also in the neighborhood is the Page Museum at the La Brea Tar Pits, home to a collection of fossilized woolly mammoths, dire wolves and saber-toothed cats that might haunt your dreams. The grounds around the tar pits are open to the public, and you can see some of the excavation sites and life-sized sculptures representing the Ice Age animals whose skeletons have been found in it. In the summer, LACMA offers outdoor evening concerts in their courtyard. They also host many of the best-traveling exhibitions such as King Tut or Renoir in the 20th Century. Get Your Sugar Rush: The "Cupcake ATM" at Sprinkles Cupcake Bakery works like the ATM at your bank, but instead of boring cash, it dispenses fresh-baked cupcakes 24 hours a day. The cupcakes are delicious, and they taste even better because it's so much fun. You'll find the ATM next to the Sprinkles bakery at 9635 S Santa Monica Blvd, two blocks west of Rodeo Drive. April: The Annual Vintage Bouquet Food and Wine Extravaganza rivals the state's best food and wine festivals - and the surroundings on the grounds of Greystone Mansion create an elegant setting. It's also a good idea to check the performance schedule at the Wallis Annenberg Center for the Performing Arts, located in the gorgeous old post office building. Rodeo Drive shops close early and are closed on Sundays, too. According to the West Hollywood Visitors' Bureau, about one-third of its nearly 40,000 residents are gay. Find out more about visiting from a gay perspective in TripSavvy's Gay Travel guide. Find a place to park and walk. Driving Beverly Hills can be a bit jammed and on Sunset Strip, it gets so slow that you might think you accidentally pulled into a parking lot. Walking may be faster than driving to the next block. West Hollywood and Beverly Hills are better than most to bring your canine friends along. With many shops designated just for your pooch, outdoor dining and a variety of parks, your pet can enjoy your getaway just as much as you. Download useful apps to help you look like a pro. Check out our list of the best apps for your trip to LA. Beverly Hills and West Hollywood are close together and small enough that you could stay in either place. If you choose a Sunset Strip hotel, you'll be close to the nightlife and may get a better value for your money. Before you start looking for bargains, find out how to find the best place to stay in Beverly Hills and get some tips for finding hotels on Sunset Strip. If you like boutique hotels, Maison 140 in Beverly Hills is both fun and convenient. Formerly the home of glamorous early twentieth-century film stars Lillian and Dorothy Gish; it once served as a home away from home for young actresses coming out to Hollywood. The hotel keeps the tradition of providing a place to call home, but with the luxury of modern amenities.